Excavations in Guatemala may have uncovered the tomb of K’abel, a 7th century warrior queen and one of the great female rulers of Classic Maya civilisation, it was announced today (4 October). 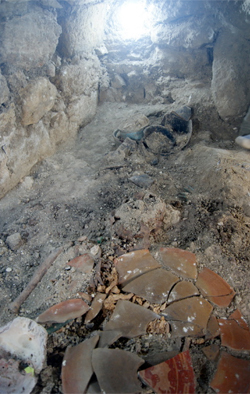 The burial was discovered by archaeologists from Washington University in St Louis during investigations at the Maya city of El Perú-Waka, about 75km from Tikal. Considered the greatest ruler of the Late Classic period, K’abel was a member of the imperial Kan (Snake) dynasty. She married a vassal king, K’inich Bahlam II of the Wak (Centipede) kingdom, to to help consolidate her father’s empire, and as Kaloomte (‘Supreme Warrior’), she was the Wak kingdom’s military governor, outranking her husband with whom she ruled for at least 20 years (c.AD 672-692).